Every once in a while someone mentions to me that the water in Phoenix is drying up, and that the city is near a crisis state. Then inevitably they mention the droughts in California, and the Colorado River and the Hoover Dam. And then, at the risk of hurting feelings, I mention that Phoenix has been around since 1870, that the Hoover Dam was built in 1939, and that the water from the Colorado River didn't even reach Phoenix until the 1980s. And that's when people ask me "then where does the water come from? ", and I point to the canals. Yes, a small percentage of water for Phoenix comes from the Colorado River, but the vast majority comes from the Salt River. And if you look at a map of Phoenix and look at that big empty thing labelled "The Salt River", just south of the airport, I can understand your concern. 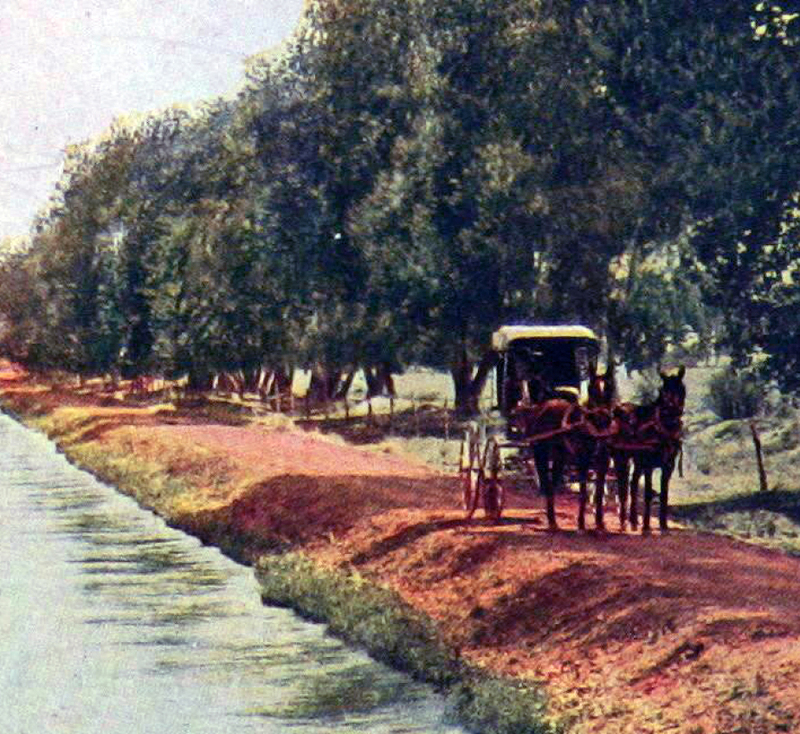 There's no water in it (well, maybe a little around Tempe), but the river is still there, in the canals. The canal just north of me, the Arizona Canal, was completed in 1885. And the water in it is snowmelt and rainwater from the uplifted areas northeast of Phoenix. The water is captured by a series of dams north of Apache Junction, and the water flows to just west of where I am right now, to flow into the Agua Fria River. And along the way there are water treatment plants to process fresh water so that I can make coffee and take a shower. Phoenix is in the desert. But it wasn't plunked down in the middle of the desert hundreds of miles away from water. The Salt River flowed right past it. The Hohokams knew this, and so did the pioneers. Water didn't need to flow through miles of aqueducts, it just needed to be dammed and channeled. And over the years more dams were built, until the biggest one, the Roosevelt Dam, was built in 1911. Phoenix manages its water well. Water here in the desert isn't an afterthought, it's something that was critically important from the day that Phoenix was founded. The engineering is spectacular, for bringing water in, and taking it away. And if you've never noticed it, that's not surprising. Many huge engineering projects are virtually invisible, like the Diversion Channel, or Tres Rios, which is for sewage treatment. And those big tanks on Lincoln Drive just south of Piestewa Peak are for fresh water treatment. I've driven past them a million times, and they aren't hidden, but very few people I talk to even realize that they're there. Conserving water and managing it well is vitally important to the city of Phoenix. I wish that I could say thank you to the people who have done it so we'll, like SRP and the Maricopa County Flood Control District. I think I will - thank you! Great job! Keep up the good work for at least another 100 years! great story, I'm 3rd gen from AZ and I miss Phoenix the most. My grandfather worked for the city of Phoenix water service department as an engineer since the 50's (2nd gen Mexican graduated from ASU in the 50s) and he always said how well water management is in our city is run compared to anywhere else in the world. The key is conservation. I live only a few blocks from the Deer Valley Water Treatment Plant, which is on the south bank of the Arizona Canal @ 31st Ave & Dunlap. I'm pretty sure the reason the water pressure in my house is so good & strong, is my close proximity to the treatment plant.